It’s a shame that Noah Syndergaard could miss three months and possibly more of what began as a very promising season because of the partial tear in a lat muscle revealed by Monday’s MRI. 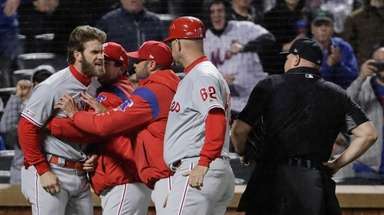 It would be a crime, however, if the Mets don’t learn from the series of missteps that led to his taking the mound Sunday at Nationals Park. In the gloomy aftermath, Sandy Alderson didn’t go as far as to express regret for how Syndergaard’s health concerns were handled from the moment he first complained of upper arm discomfort early last week. 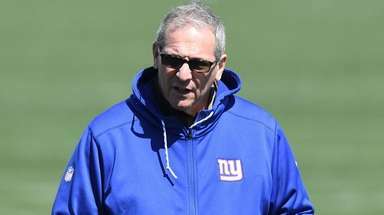 But the general manager was more transparent about the Mets’ thought process behind injury-related decisions, and there was a sense that a few things could have been done differently. Of particular note is Syndergaard’s initial refusal to get an MRI after the arm issue was diagnosed as biceps tendinitis. Alderson walked that back some, characterizing Syndergaard’s response more as reluctance, with the GM claiming responsibility. Either way, that empty MRI tube remains the smoking gun in this calamity. No one can prove, after the fact, that an MRI wouldn’t have revealed what was going on inside Syndergaard’s arm, shoulder or lat area. 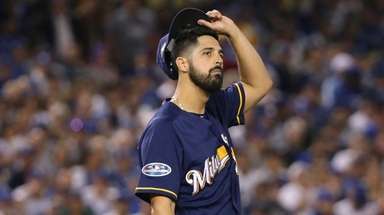 Alderson said he was told by the team’s medical staff that there was no connection between the earlier biceps tendinitis and the lat muscle tearing Sunday, but he did hedge a bit. Fair enough. But if there was any percentage chance, no matter how small, that the upper-arm pain could have been caused by something else, or exist as a precursor to a more damaging injury down the line, getting that MRI starts to look very, very important. And there are others who have opinions on this subject — albeit drawing on experience to speak generally about Syndergaard’s condition — who insist that the original diagnosis of biceps tendinitis and the eventual lat muscle tear indeed could be related. Pain in that area can be misidentified. Galatz said biceps tendinitis often is diagnosed first because it’s more common, whereas a strain or tear of the lat muscle occurs much less frequently. The symptoms can vary in severity, but with the two areas linked together during a pitcher’s throwing motion, it seems a stretch to say they are completely independent of each other. Again, that’s not to dispute the conclusions reached by the Mets’ own doctors, as Alderson relayed them. It just shows why MRIs are so critical in not only uncovering a problem but also pinpointing the red flags that might lead to a bigger injury. Of course, the Mets already know that. Last season, Syndergaard and Steven Matz spent plenty of time inside an MRI tube. 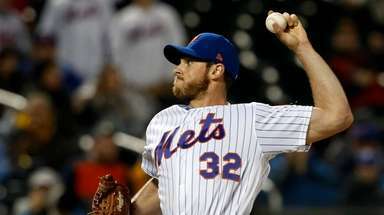 On this occasion, however, the Mets chose not to practice what they constantly preach about the health and well-being of their young rotation. Instead of doing what should have been automatic in escorting Syndergaard to the nearest MRI machine, especially with his start being skipped, the Mets hesitated. And a few days later, they had him throw a bullpen session, then green-lighted him for Sunday — much of it because of feedback from Syndergaard himself. Players aren’t always entirely truthful about their physical condition, and the Mets’ desire to have Syndergaard face the Nationals — who already were threatening to run away with the NL East — could have prompted them to be more passive in this situation. 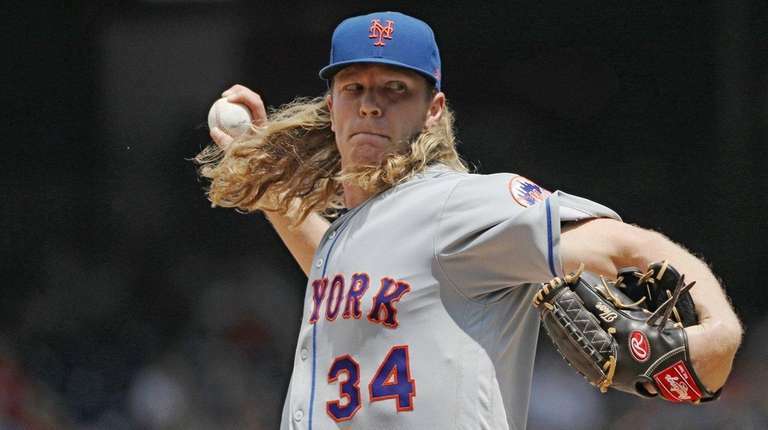 So if Syndergaard was nursing some kind of injury, whether it be to his biceps tendon or lat muscle, the decision to permit him to fire his 100-mph fastballs proved costly. We’re going to suspect it for a long while, however. Alderson is correct in asserting that a clean MRI last week, followed by Syndergaard getting hurt anyway, wouldn’t have changed the outcome. But that’s not what happened. The Mets need to learn from this breakdown or they’ll be doomed to repeat it.